There is a lot to consider when changing the course materials in your undergraduate anatomy and physiology course. Our Visible Body apps linked with our courseware provide comprehensive anatomy and physiology content that is visual, interactive, and mobile—and includes a simple way for instructors to assign interactive lessons and quizzes that link to D2L, Blackboard, Moodle, or Canvas. Is 3D interactive anatomy right for your course? 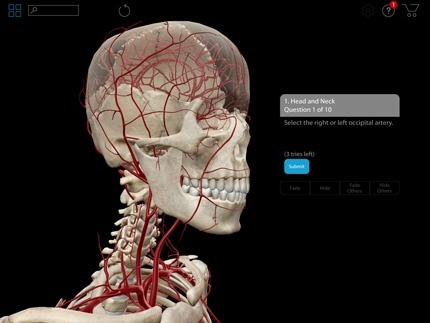 Can 3D visual anatomy improve student success? Why do students prefer 3D visual anatomy resources? How do professors use Visible Body's Course Pack in lecture, lab, and homework? What resources exist to help professors incorporate the content and features in Visible Body's Course Pack? 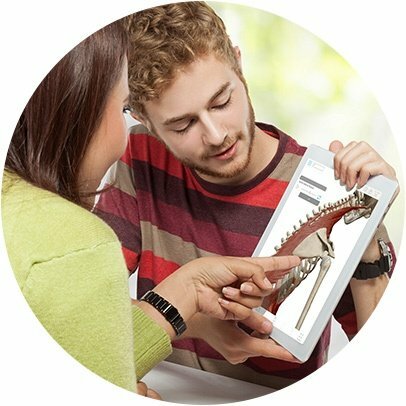 We've gathered professor testimonials, student class test results, videos, and instructor support resources that can help you decide if 3D anatomy resources and our Visible Body Course Pack are the right fit for your curriculum and the way your students learn. If you have any questions about the content on this page, you can use this form to contact a sales person. Got 7 minutes? See the differences between 2D visuals and 3D anatomy when teaching about key digestive system structures. Presentation by Bert Oppenheim, MS Medical and Biological Visualization, Johns Hopkins University School of Medicine. In 4 minutes Blythe Nilson, Associate Professor of Biology at the University of British Columbia shows 5 key anatomical relationships that are faster to teach using 3D visual anatomy. See how you can assign content from Visible Body apps through Moodle, D2L, Canvas, and Blackboard, or our own courseware. Read our blog interviews with students discussing 2D textbook images over 3D models and understanding tough topics, like the Circle of Willis. Access a summary from Inside Higher Ed on a 265-student study that revealed the benefits for struggling students of incorporating 3D anatomy into the gross anatomy course taught to medical students. How do professors use Visible Body apps and courseware in lecture, lab, and homework? Download the guides that correlate the unit objectives in Visible Body's Anatomy & Physiology to the content in Open Stax, Marieb, Martini, and other popular textbooks. Access the free lab activites that guide students through pre-lab, lab, and post-lab activities for the heart, digestive system, muscles, and more. Ready to use our apps or need to request an Instructor's manual? Use this form. Our Instructor's Manual, which includes a guide to using 3D anatomy content, describes the objectives covered in all the 3D content, and includes a quiz bank. Get an instructor tutorial with a member of our Education Team. 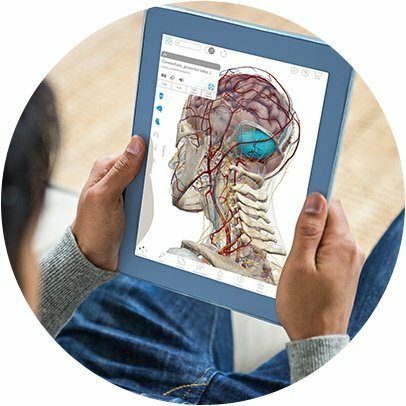 You will get a walkthrough of Human Anatomy Atlas and a second app of your choice, as well as a demonstration of how you can use our apps with courseware and online grading. See what other instructors like about teaching with 3D anatomy and try our 3D anatomy apps for yourself with a free instructor trial code.